The CyFlow Cube 6 is a compact benchtop flow cytometer for the analysis of individual cells and microscopic particles. Different CyFlow Cube 6 configurations to select from offer optimal solutions for dedicated applications. The easy-to-use CyFlow™ software provides control of the instrument, data acquisition, analysis and storage. 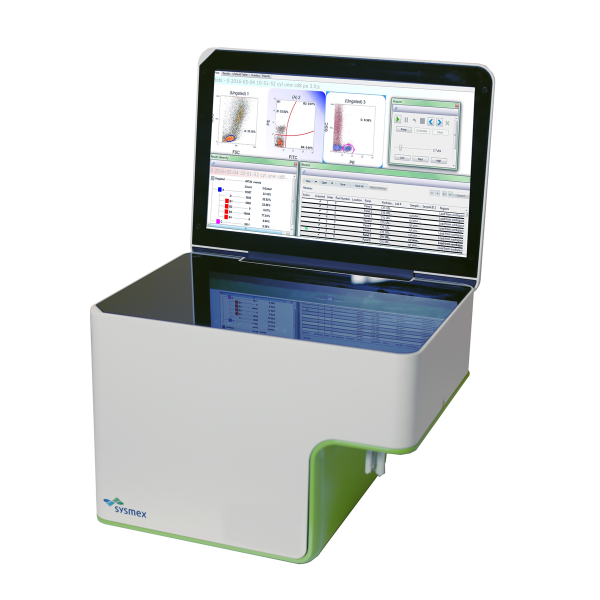 CyFlow Cube 6 offers True Volumetric Absolute Counting (TVAC), which allows the display of particle concentrations for any subsets of cells without the need for reference beads, even if defined by a gate at a later time after the acquisition. CyFlow™ optimally supports the True Volumetric Absolute Counting of the CyFlow® Cube 6, displaying particle concentrations for any subsets of cells, even if defined by a gate at a later time after the acquisition.